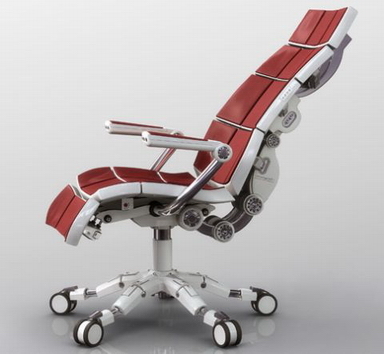 This ultimate self-adjusting office chair reduces pressure on the discs in the lower back. It was made in 1994 by Nick Kaloterakis. The bar has been raised. And won't be topped until someone makes a chair version of a waterbed with magic fingers. "Geek inventors, the world is waiting with eagerness." Brian Lam said.